At Northland Towers Office and Medical Center we have available spaces of varying sizes and designs. 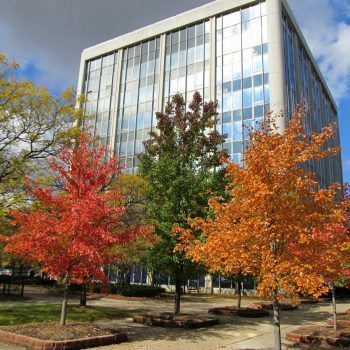 These office spaces are available for immediate move in and are priced competitively. Fill out the form below and one of our leasing agents will work with you to find an office for lease that best fits your needs. Adjust any of the options below to see the office spaces that best suit your needs. When it comes to successfully building a business there will come a time when you outgrow your current office space and find it is time to either expand or move to another location. While business owners are usually reluctant to switch locations for various reasons (loss of familiarity, customer confusion, proximity to home) there can be factors that make it impossible to stay where you are. Factors such as lack of space to expand into, distance from viable employees, and your current location not having the technological infrastructure your growing business requires. Once the decision has been made that it is indeed time to switch locations it is important to find an office for lease that not only meets your immediate requirements but will be able to grow with you in the future. More and more businesses every year are discovering that Northland Towers is that location. 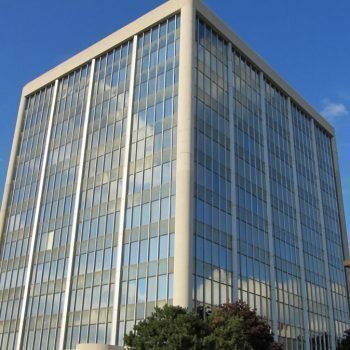 Northland Towers Office and Medical Center Complex has been a landmark in the Southfield area since 1962. Through a commitment to constant renovations, beautiful new suites, and numerous amenities we have created a first-class environment. We also offer extremely competitive lease rates on general office spaces, medical office spaces, and retail spaces. Contact us today to schedule a tour of our units and see if we have an office for lease that will satisfy the unique needs of your business or medical practice. 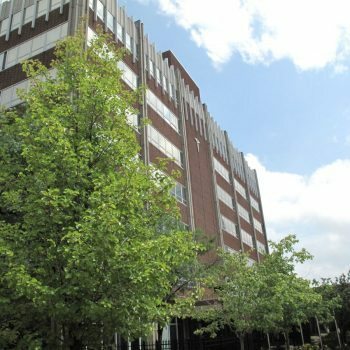 The Northland Towers complex is home to four office buildings, the Medical Center, Plaza, as well as Northland Towers East and West. Each building contains various sized office spaces for lease. We even offer some build to suit spaces, which makes it easier than ever to find the future home of your growing business right here in Southfield. Northland Towers features many on-premise amenities like a daycare center, salon, and pharmacy. Making it convenient to run errands before work, after work or even during a lunch break. We pride ourselves on creating a community and culture that is not only inviting and friendly but also secure and well maintained. We have on-site maintenance and cleaning crews ready to keep your office space beautiful and running properly. Northland Towers is always looking to improve not only the look and atmosphere of our premises but also the technology behind it. With this in mind, we have integrated fiber wire into our buildings giving you the opportunity to run high-speed lines directly to your office. We are also proud to introduce our new service request system that runs through our website. As a tenant you will receive a personal login that will allow you to submit service requests (cleaning, maintenance, new keys, parking passes), change contact information and order business signage directly through the website. Located at the intersection of Greenfield and 8 Mile our tenants enjoy a great central location, minutes from downtown Detroit. You will also enjoy excellent exposure and accessibility to all major freeways with entrance/exit ramps connecting you directly to the Lodge and Southfield Fwy. Northland Towers is the perfect combination of value, location, and amenities! With the closing of Northland Mall and new developments already underway, you won’t find a better location than Northland Towers. When we were looking for office space, it was important to us that we could find the right community to call our home. We chose Northland Towers because it is an ideal location with easy access to freeways and incredible lease prices in a safe and well-maintained building. Now with the coming redevelopment of Northland Mall and some new projects in the area already underway, you won’t find a better value than Northland Towers!